Little cherubs of the night, you dot the desert still. Pudgy arms and cooing charms, my heart can only thrill. 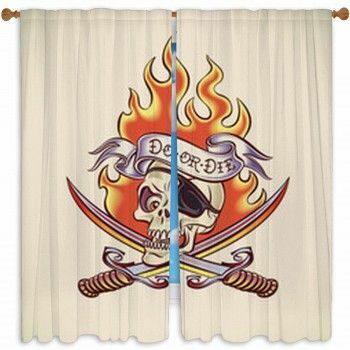 Sweet life now born beneath the orange sunset. Rest amid these canyon walls, as you they will protect. 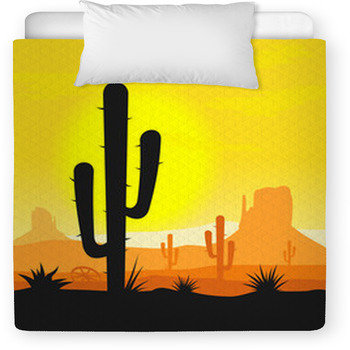 Desert bedding themes… colorful, warm and beautiful, perfect for bundling your newest joy, your baby. A soft and delicate flower? 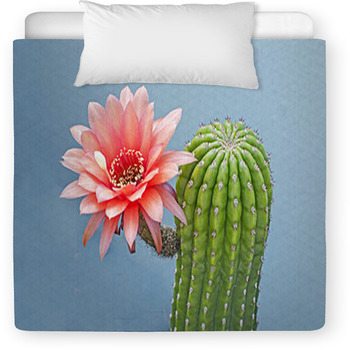 See the Pink Cactus Flower Close Up. 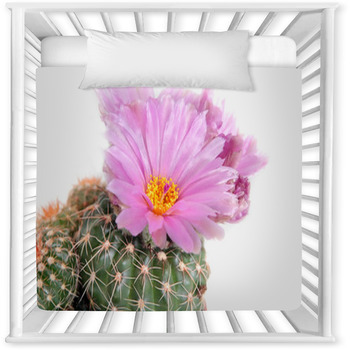 In this design, a soft violet flower with yellow center nestles gently into a round cactus arm dotted with pinkish-purple little spines. 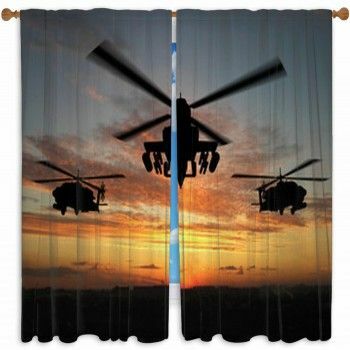 This image, as are all images, is available on a comforter, bumper, blanket and decorative pillow. 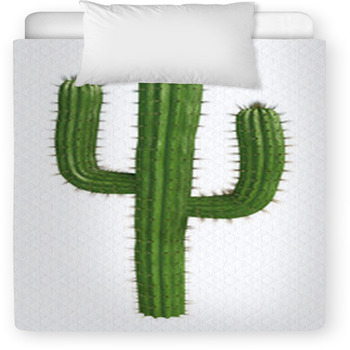 How about the almost animated Cactus Mexican Icon? 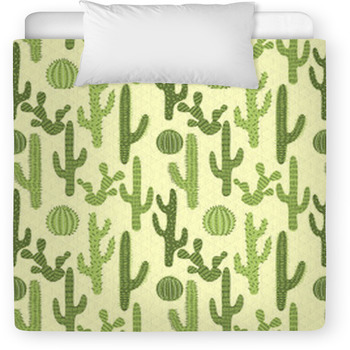 The stylized cactus character is like a cartoon friend standing tall, cool and whimsical, a design sure to make you and your baby smile. 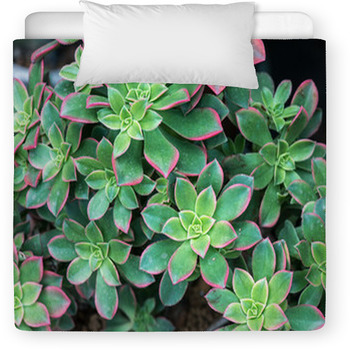 For a calming, cool, protective and spiritual design, see the Stained Glass Window, where the glow of life's renewal is artistically represented in gender neutral pinks, sky-like blues, purples, rich green and a hint of yellow. 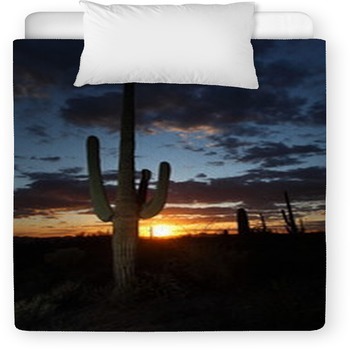 Within this set and others, see the Toddler Bedding which includes a micro suede cotton duvet and comforter. 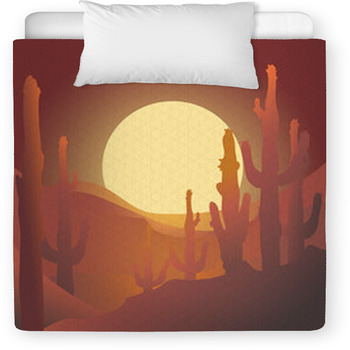 Another great design is the Cactus Heart which pictures a unique heart shaped cactus laying softly against a light lavender background. Very simple, very sweet. 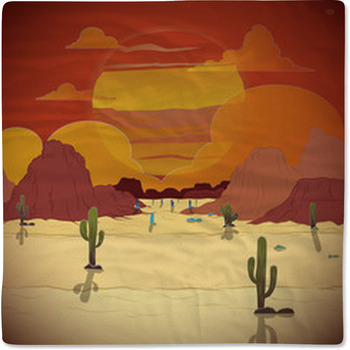 These are just a few of the many southwest inspired sets, endless and imaginative, like desert horizons. 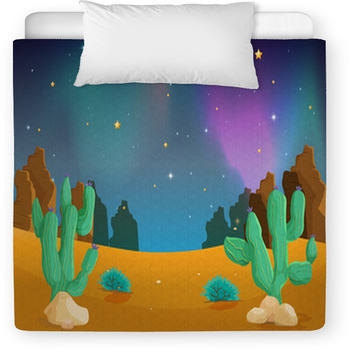 Flowers, plants, skies and landscapes, traditional, graphical, balanced, illusion-like, surreal and entirely alternative, there is surely a cactus baby bedding that will work wonderfully for your baby's room. 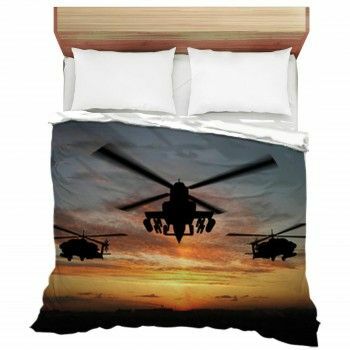 This family of bedding is truly different.